My very first show and I couldn’t be more excited/nervous about it. I went to the RAW showcase in Boulder last year and loved it. I never would have honestly expected that I would be showing at the same show a year later. Hell, a few months ago I was still thinking that it’d be another 6 months to a year before I could hang work somewhere. 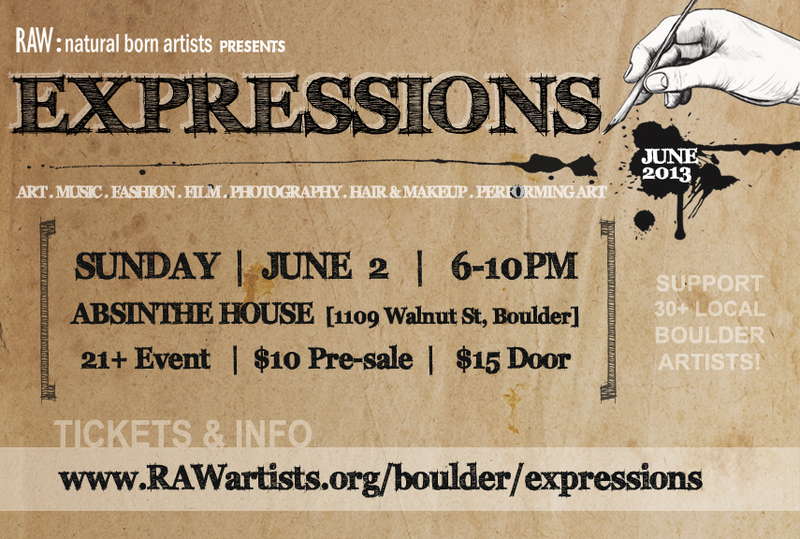 On June 2nd I’ll be showing my work for the first time at the RAW Boulder show: Expressions. Fingers crossed it won’t be my last show. I’m blessed to have friends both in Wisconsin and Colorado who have supported my passion and encouraged me to start showing/selling my work. Without their words of encouragement, I probably would have continued hoarding all of my paintings and secretly imagining hanging my work someday. Ever since I was a little badgerita, I’ve been ingrained with the idea that art was only a hobby. I was lead to believe that art wasn’t a career. Now that I’ve booked my first show, I’ve slowly started to break down that emotional wall and can start taking my passion more seriously. I mean, look at me…I have a blog! It’ll be a tough couple weeks leading up to the show since 1. I have no idea what I’m doing, 2. I need to market myself and sell tickets to the show but most of all 3. The show is 1 week before our law firm takes a potential life sentence case to jury trial. Working in a law firm helps pay the bills, but it also means 14 hour days, 7 days a week at the office when prepping for trial. I wasn’t even sure I’d be able to take off Sunday afternoon/evening to participate in this show. Balancing trial prep with preparing for my very first show may be suicide, but it’ll be worth it. I can’t wait to show my friends and, for the first time, strangers my work! For those of you who happen to know my work, I plan on showing my “For the Birds” collection at the show. I may try to do at least one new piece that fits into the collection. I’m playing with the idea of showing some pieces from my current collection “Across the Divide” as well, but I’m hesitant to mix such different collections. I may save that one for a first friday art walk down on Santa Fe. Purchase your ticket and see what I decide to do!